Time to take a break and stick on some tea? We totally agree. Welcome to the last installment of "Get to Know Us". Today we're bringing you Olivia who plays the extremely important role of putting GIFs in our Instagram stories. 1. What do you do at Fabric Yard? I would describe my work as a sort of acrobatic performance across our social media. During the week I do features, post a couple pictures here and there, maybe even a poll if I’m feeling wacky. At the weekends I make water bottle tutorials. Not to forget, when Alice gives me too much coffee I go on fabric bundle making sprees! 2. What are the first 3 traits people notice about you? This one is hard! Hmm.. I’m definitely guilty of using clothes as a conversation starter. Works wonders, without fail. Comments like “I expected you to be a little bundle of joy and cupcakes but I can’t keep up with your sarcasm” are plentiful. Oh! I own a lovely Akita who is very hard to miss. 3. What is your favourite fabric? Roller Disco by Alexander Henry is one which makes my day go from 0 to 100. Tulip Tangled by Michael Miller is a great distractor when your coffee date gets boring, and Magical Parade doesn’t get nearly enough recognition! 4. What’s the best thing you’ve ever sewn? This is the first ever dress I made using fabric from Fabric Yard! To quote Laura from last week, “don’t look too closely”... It’s a little 60s shift dress, made from a pattern for a t-shirt. I always wore it with block colour tights which have apparently come back in this season so y’know, trend forecaster over here. 5. 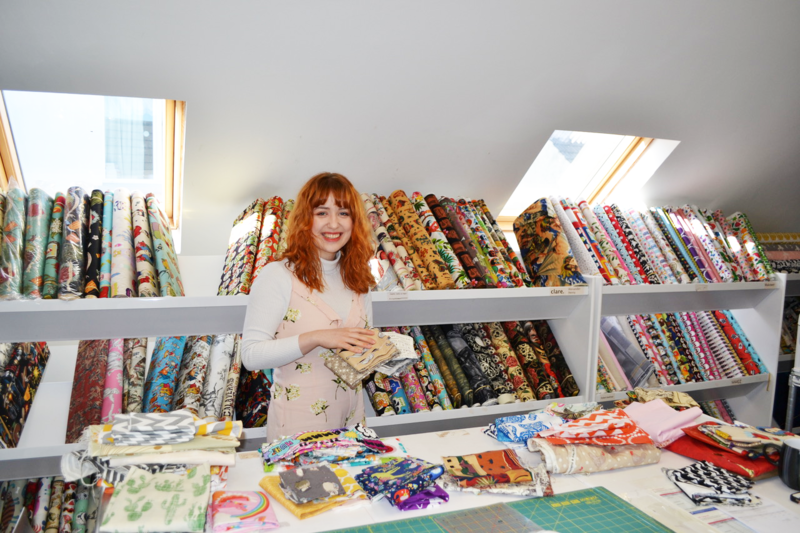 What’s your favourite thing about fabric yard? I think I’d be quicker listing what isn’t ;) Fabric Yard is a dream come true! Not only do I get to live in a world of otherworldly prints and patterns, I also work with the kindest and funkiest ladies in all of the North Coast. I’ve never had a dull day! So that brings our coffee dates to a close. We hope you had as much fun as we did. Not to worry though, we have plenty of fun blog posts coming your way soon. Here's to a good week and we'll catch up with you again shortly!